Chasing the Merry-Go-Round (memoir, special needs, personal growth) Life moves fast. Too fast for some people. This is the true story of what it's like to live in a world where you can't keep up. Bobby was ten months old when my mom and dad rescued him from birth parents who were slowly killing him. He was adopted into our family after a lengthy custody battle. Instead of that settling him, it set off a lifelong struggle to find a place to belong, a place to call home. 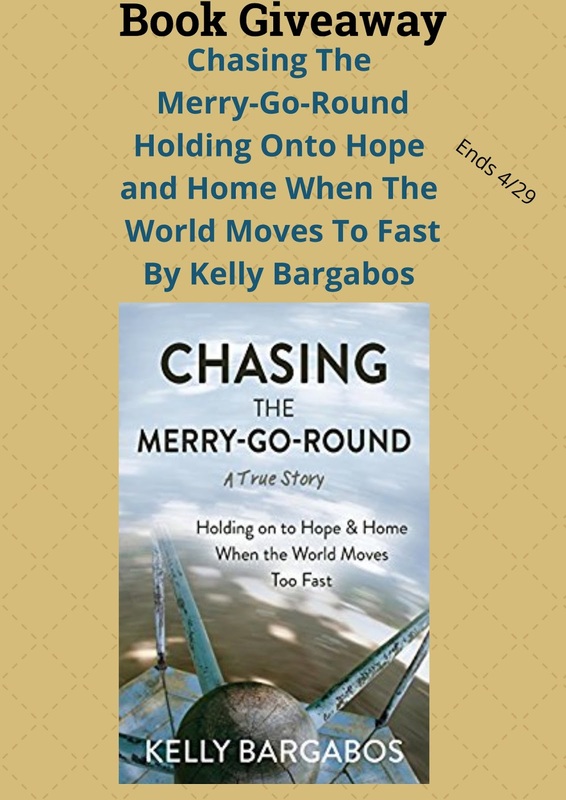 Like an old-fashioned merry-go-round, the world moved at a speed that was just too fast for Bobby. He couldn't keep up, which prevented him from keeping a job, a roof over his head, and the basics needed to survive. The life he dreamt of was always out of reach. No one knew why. While cultural ideals of what a "normal" life looks like can distort our perspective, Chasing the Merry-Go-Round allows readers to see the world through the eyes of a person with intellectual and physical disabilities, which can often be invisible, especially at first glance. It's a story about struggle and hope, survival and resilience, and most of all, the gift of acceptance and love. This book resonated with me. I have a Special Needs son and while Bobby isn't Autistic he has his own special circumstances that make life difficult for him in ways that many cannot understand. I read this in 2 days. It is a book with a lot of heart. Biologically Bobby is Kelly's sister but in her heart he is her brother. She took care of him as a baby and will take care of him for the rest of his life. My hope is that those who read this book open their eyes to disabilities and acceptance. We are not all the same. My wish is that one day everyone will accept our differences and respect people for people. Thank you Kelly! You are a wonderful sister. Disclaimer: I received a copy of this book for my honest opinion. No monetary compensation was offered to me. I love true to life story, especially about children with special needs. This looks like a good read! I like reading memoirs, because they're usually very inspirational and I always seem to learn something from them!